Deal of the Day: Save up to 57% on Easter Basket Stuffers for 4/04/2019. Today you can save up to 57% on selected items from Amazon. Fill the baskets with more than just sweets. 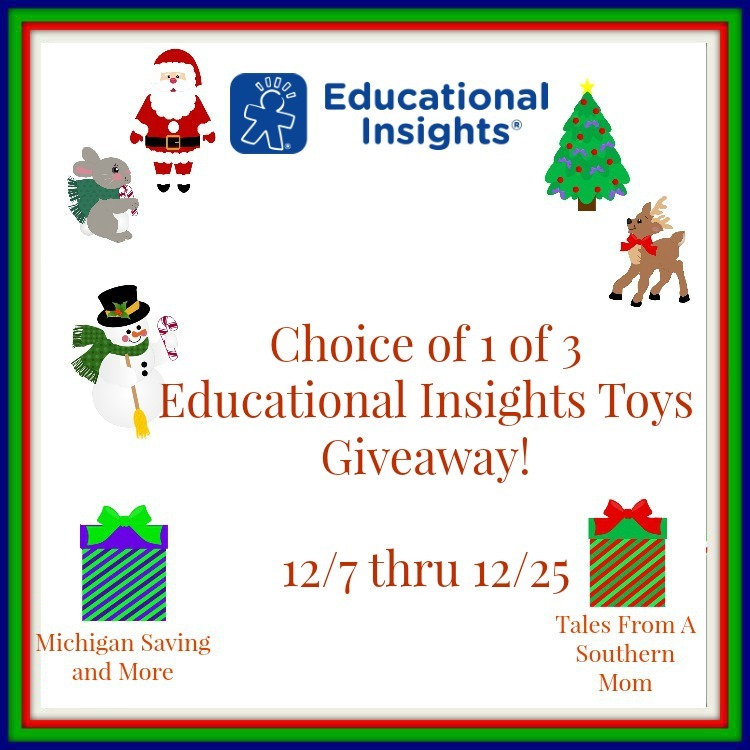 Welcome to the 2016 Epic Holiday Gift Guide Spectacular Educational Insights Giveaway! One winner will get to chose one of the toys below! Which toy would you like? This giveaway is in no way endorsed, affiliated, or associated with Facebook, Twitter or any other Social Media Networking Site. You are not eligible if you have won a prize from the sponsor in the last 12 month. This Giveaway is valid in the United States Only and Entrants must be 18+ years of age to enter. This giveaway event will end at 11:59 PM (EST) 12/6/16. The winners will have 48 hours to email their information back to las93063 at gmail dot com or a new winner will be drawn, you may want to put this email address as safe as it could go to spam. The sponsors are each responsible for shipping of the above prizes. No blog associated with this contests are responsible for prize fulfillment. If you would like to be a sponsor in a giveaway like this please email Laura Smith at las930 (at)gmail (dot) com. If you take an entry you must stay following for the entire contest or you will be disqualified. It’s a science sleuthing activity kit! Find and observe rocks, insects, and flowers that glow under black light, make gelatin that glows, and learn counterfeit money detection, encrypting codes and ciphers, and more. Includes 22-page activity journal and black light illuminator invisible ink pen to write secret messages, too! It’s a showdown in a bowl! Grab a spoon and watch as it magically changes color. Then, dig into the cereal-serving bowl and scoop up pieces of that color. Cross your fingers for a color flash free-for-all and collect two pieces at a time. During this all-play game, quickly collect the most cereal pieces to win! Light up creativity with the flip of a switch! Budding designers can follow one of 12 included patterns or create their own custom, glow-in-the-dark creations. Which toy would you pick if you won?